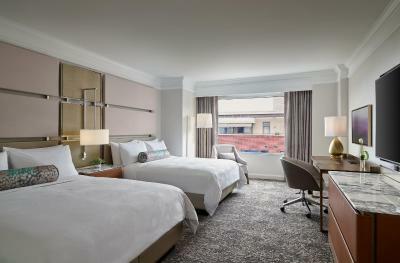 Lock in a great price for JW Marriott Denver at Cherry Creek – rated 8.3 by recent guests! Location excellent. A little tired looking. Cracked sink in bathroom, phones not working except in bathroom, housekeeping missed a day, only one elevator working. We complained. They gave us a "free breakfast" per the manager but the restaurant only honored $20.--confusion from the front desk. Staff not well trained to handle situations. I stay here only because of the convenience. This is my third or fourth stay. Once they get more competition, they will have to improve the service. The room is very little. We couldn't put the suitcases in the floor to open. The staff was FABULOUS. We felt well taken care of the whole time! As always the bellboys in valet are the best followed by the room service staff. But the front desk are aloof and can be rude. 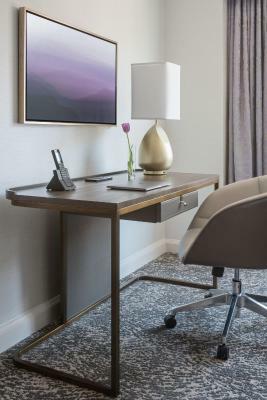 JW Marriott Denver at Cherry Creek This rating is a reflection of how the property compares to the industry standard when it comes to price, facilities and services available. It's based on a self-evaluation by the property. Use this rating to help choose your stay! 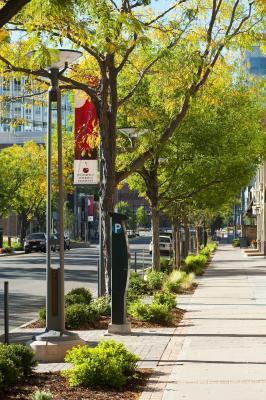 Located in the Cherry Creek neighborhood, this 4-star Denver hotel is 10 minutes' driver from University of Denver. 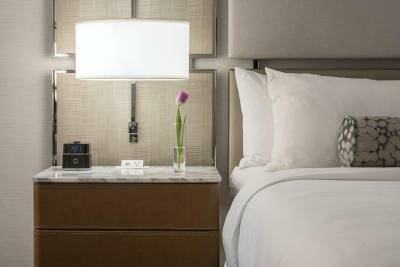 The hotel offers an award-winning restaurant and a 24-hour fitness center. 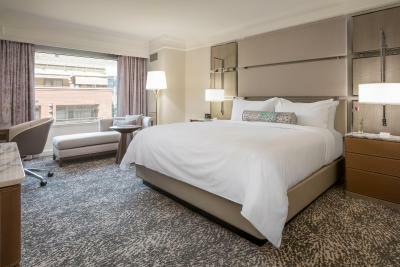 JW Marriott Denver at Cherry Creek features a 65-inch flat-screen, Nespresso® coffee machine and 5 piece marble bathroom in every guest room. Room service is available 24 hours. Social Fare at the Denver JW Marriott serves American cuisine for breakfast, lunch and dinner. Guests can enjoy creative meals sitting around the outdoor stone fire pit. 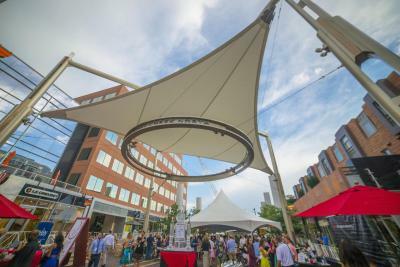 The Cherry Creek Shopping Center is within one block of the JW Marriott. The Denver Zoo is 10 minutes away. 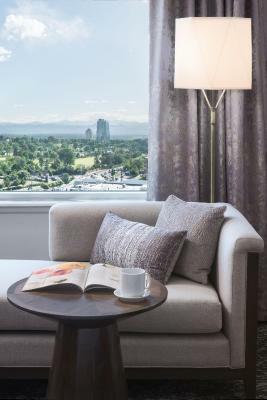 When would you like to stay at JW Marriott Denver at Cherry Creek? A flat-screen cable TV is featured in this room. 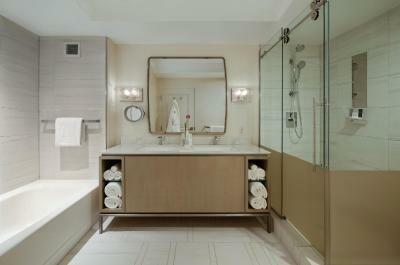 A mini-bar and coffee-making facilities are included. 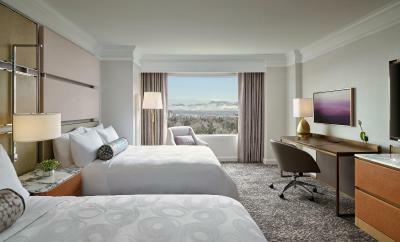 Sweeping mountain views and a flat-screen cable TV are featured in this room. 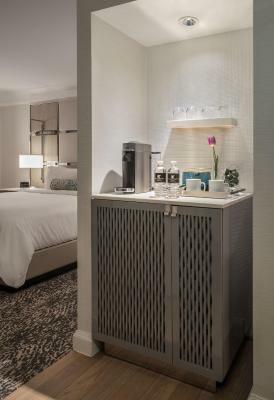 A minibar and coffee-making facilities are included. Features access to the Executive Lounge, which serves snacks and drinks. 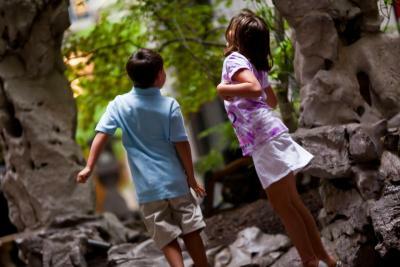 House Rules JW Marriott Denver at Cherry Creek takes special requests – add in the next step! JW Marriott Denver at Cherry Creek accepts these cards and reserves the right to temporarily hold an amount prior to arrival. Club lounge very poor selection of food and drinks. Restaurant closed on a Thursday night. I just was hoping the TV in my room was bigger. It had to have been somewhere near a 42” tv but I was hoping for a 70-80” tv because sometimes I like to bring a video game console and play on a bigger setup. Breakfast is a la carte, and this makes it quite expensive. Car valet driver hit both driver and passengers doors. no real cups in the room, only disposables, felt it could be more generous for that price range. We did two reservation at the same time. We must pay the two either if it was an error. The room was very little, and apparently was one the best. 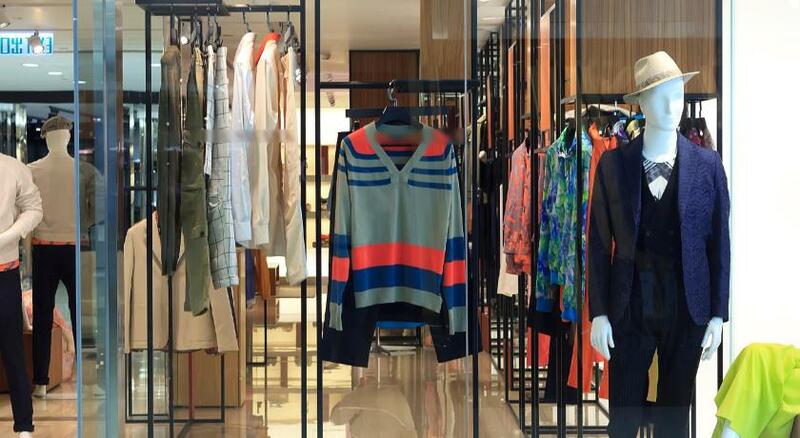 Must have some suites if somebody requires. room not ready on arrival. Staff said they would call when ready. That never happened. Asked for early check in through booking.com but neither the property or booking.com replied. booking.com replied hours after I had already checked in late. No King size bed available even though the website said there was. Needs renovation, especially for Marriott's premier brand.